Undergraduate students are invited to attend the annual Undergraduate Sustainability Research and Education Expo. Students will meet with faculty seeking research assistants, educators seeking new students, and community leaders and local organizations seeking interns. The Expo is a great way for students to connect with potential mentors and get involved in opportunities designed to broaden their research and educational experiences in energy, the environment, and other sustainability topics! 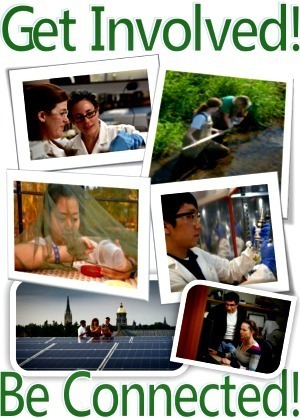 If you have a research or education program you would like to discuss with undergraduate students at Notre Dame, please sign up to participate by January 22 at: PARTICIPANT RSVP. Questions may be directed to Barbara Villarosa or Rachel Novick.